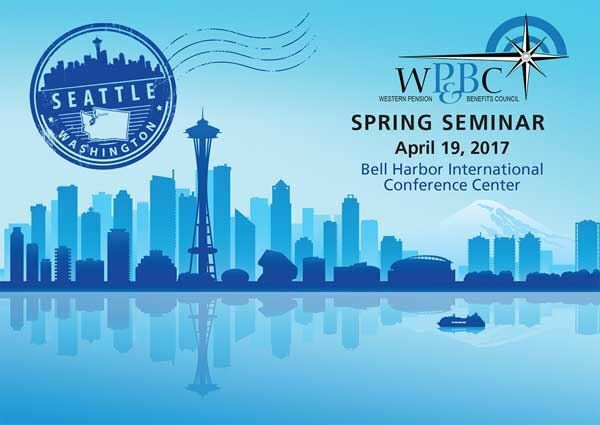 The WP&BC Spring Seminar’s focus is to provide benefits professionals with tools, knowledge and new ideas to help pension and benefits plan participants. This year’s Spring Seminar will continue to offer key industry updates necessary to stay current as benefits professionals. Steve Vernon, Consulting Research Scholar, Stanford Center on Longevity will present our keynote address this year. He currently writes a regular blog column for CBS MoneyWatch, titled Money for Life. This year's luncheon speaker is Jessica Butts, CEO and Founder, Front Seat Life.org is our guest luncheon presenter. Jessica’s presentation is “Live Your Life from the Front Seat” - how to use your personality type to get the most out your life. Again this year we offer four hours of breakout sessions covering Health & Welfare, Legal, and Retirement. Each session is an hour in length and you are open to choose the sessions to attend. Immediately following the last session, plan to stay and visit with colleagues, speakers and representatives at the free cocktail reception. WAOIC Continuing Education credits have been approved Keynote session; all 4 Health & Welfare sessions and the 10:45 Legal session. Approved sessions are marked with a red • below. We also have applied for WSBA credits; and we offer certificates of attendance for Actuary, Accountant and Other Professionals. No refunds after April 13, 2017.